"Musharraf offered me the deal directly, but I turned it down," Nawaz Sharif said. Islamabad: Pakistan Prime Minister Nawaz Sharif has said that former dictator Pervez Musharraf had offered him a "secret deal" to return to the country from exile in Saudi Arabia to form a joint government in 2008. At a meeting of the ruling Pakistan Muslim League-Nawaz (PLM-N) parliamentary committee yesterday, Sharif said, " Mr Musharraf wanted a secret deal with me in 2007", according to a report in Dawn. "Musharraf offered me the deal directly, but I turned it down," he said. Mr Sharif said Gen Musharraf was willing to meet him and made several attempts to do so in the past. "But I declined." 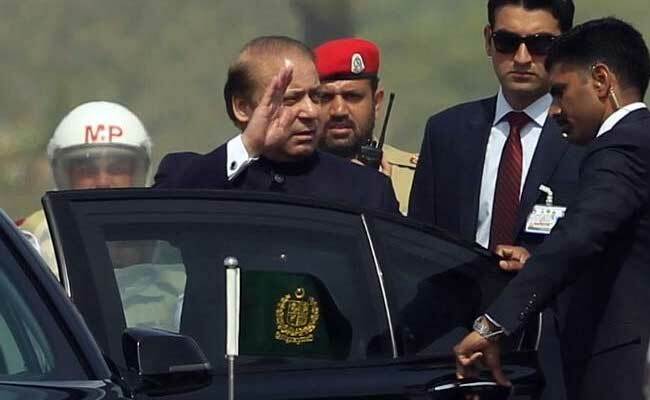 The revelation about the going-ons in Pakistan's polity in 2007 has come for the first time from Sharif, who at the time was living in Saudi Arabia after his government was toppled by Gen Musharraf in a coup in 1999. Many members of the Sharif family too had to live in the Gulf nation after the coup until their return to Pakistan in November 2007. "We left the country in a miserable condition and were not allowed to return for a long time," Sharif said, and made it clear he would do the same to Gen Musharraf, who left Pakistan last year for Dubai ostensibly for medical treatment. "Now Musharraf can't come back to Pakistan, this is retribution," Geo News quoted the prime minister as saying. However, according to the report in Dawn, Sharif's claims were disputed by former Musharraf aide Ahmed Raza Kasuri. "I have been working with Gen Musharraf for a long time and I have never heard any such thing," he said. Kasuri said everyone knew that the Sharifs went abroad under an agreement for 10 years and there could be no question that Musharraf offered him a deal to form a joint government. "It was, in fact, Nawaz Sharif who was begging to return to the country in 2007," he maintained. "[The claim is] absolute rubbish and [a] bundle of lies, which has only been propagated for [the prime minister's] image-building that was badly affected due to his lies in the Panama scandal," Kasuri concluded. him to reassert his fading power in the face of increasing opposition from the Pakistani Supreme Court and the political parties.